Following the official launch of Anglia in Bloom, Daya Thayan, CEO of major sponsor Kingsley Healthcare, wishes every contestant “the best of luck”. 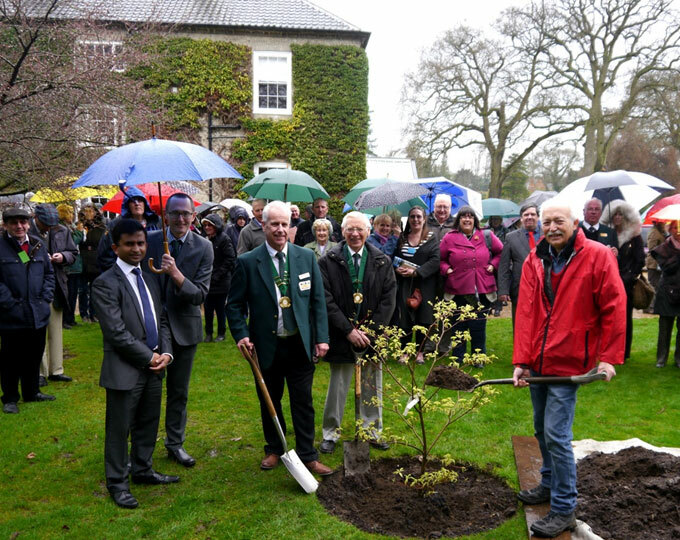 Kingsley’s marketing director Wasantha Darshana and head of PR Stephen Pullinger travelled to the impressive gardens at Bressingham near Diss where the competition was launched with a tree planting by attraction owner Adrian Bloom and Anglia in Bloom president Brian Thornton. An Easter egg hunt in Oulton Broad provided free fun for the whole family on Easter Monday. Lilac Lodge and Lavender Cottage care home in Gorleston Road welcomed visitors to participate in the community event, which took place from 1pm to 4pm. 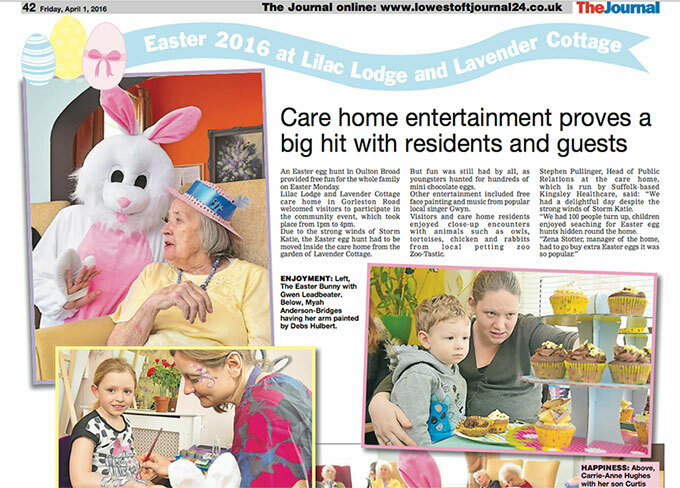 Due to the strong winds of Storm Katie, the Easter egg hunt had to be moved inside the care home from the garden of Lavender Cottage. The boss of an East Anglian care firm Kingsley Healthcare has welcomed the introduction of the National Living Wage – despite concerns from other sector leaders at the increased financial pressure. Daya Thayan, whose company employs 1,400 people in 26 care homes across the country, said the change was “an opportunity to revisit our policies, even if that means we give up some profits”. 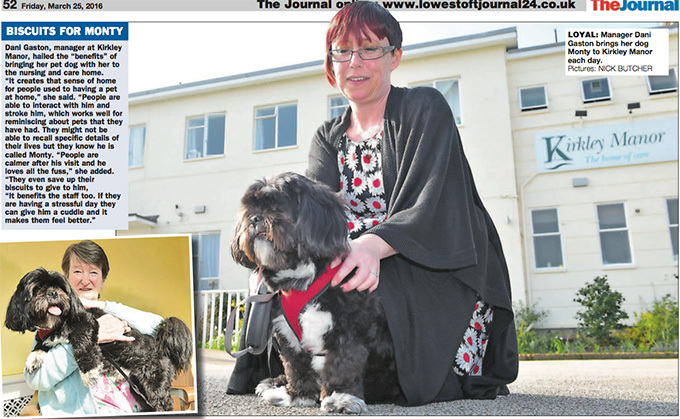 Dani Gaston, manager at Kirkley Manor, hailed the “benefits” of bringing her pet dog with her to the nursing and care home. “It creates that sense of home for people used to having a pet at home,” she said. “People are able to interact with him and stroke him, which works well for reminiscing about pets that they have had. They might not be able to recall specific details of their lives but they know he is called Monty.